A spacious & immaculately presented detached house providing well-appointed four double bedroom accommodation with conservatory, south-facing gardens & double garage. A spacious, late Victorian four bedroom town house with private garden, garage & parking. COMMERCIAL ENTERPRISE WITH DEVELOPMENT POTENTIAL COMPRISING SHOP WITH POST OFFICE, GARAGE FORECOURT, 3 BEDROOM COTTAGE & GROUNDS. A much-improved detached bungalow located in a sought-after residential area with conservatory, garden, off-street parking & garage. A modern three bedroom detached house located in a quiet cul de sac in a sought-after residential area, off Castle Howard Road. 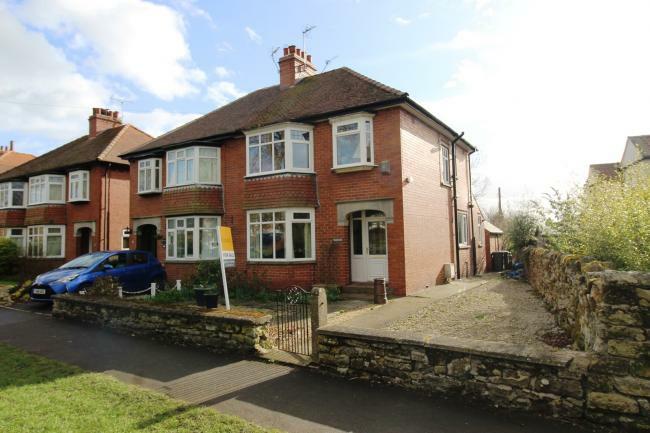 A well-presented detached house offering spacious & neutrally decorated three bedroom accommodation, occupying a good-sized plot with garage & ample parking in a popular residential area. An extended & recently improved detached bungalow located in a sought-after residential area off Castle Howard Road. A beautifully presented and thoroughly up to date detached bungalow situated in a quiet and well regarded part of this pretty National Park Village. Picture-perfect, stone-built cottage offering recently renovated two bedroom accommodation in a scenic Estate village, only a short drive from Malton. A traditional character property occupying a lovely position on the High Street with attractive west facing garden and a good range of accommodation, now in need of some updating and improvement. Attractive brick built detached bungalow with newly renovated accommodation positioned with an open outlook only a short and level walk from the centre of Pickering. Quietly tucked away within the centre of this pretty National Park Village, The Coachman’s Cottage is an attractive former Coach House, converted to create a surprisingly spacious three bedroom property together with off-street parking. An immaculately presented four bedroom detached house providing ideal family accommodation with garage, ample parking & good-sized garden. A newly built four bedroom detached family house finished to a high specification throughout and forming part of a select development of just 10 new homes within a popular and well-served village. Help to Buy available. 34 Westlands is a spacious two bedroom bungalow, quietly tucked away in a south facing position within the popular Westlands development to the north of the town. A totally refurbished, three bedroom village property providing spacious accommodation with beautifully appointed interiors, courtyard garden, parking & single garage. A beautifully presented & much improved detached house offering versatile accommodation with three / four bedrooms & south-west facing back garden. A particularly spacious two bedroom apartment located on the top floor of this popular retirement development by McCarthy & Stone & enjoying terrific views. 67 Whitfield Avenue is an immaculately presented semi-detached property, with well-maintained accommodation and attractive, low maintenance gardens to the front and rear. Individual detached bungalow located in a quiet part of this popular village, providing centrally heated & double-glazed two bedroom accommodation with gardens, ample parking & detached double garage. A rare opportunity to purchase five wooden timber lodges, situated in an attractive position between the sought-after villages of Ampleforth and Wass in the southern edge of the North York Moors National Park. Showing 101 to 125 of 173 Properties.